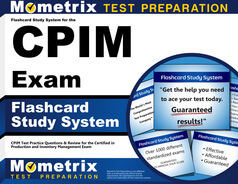 The CPIM Execution and Control of Operations Exam is the fourth of five exams created by the Association for Operations Management, also known as APICS, that are administered by Promissor and are required in order for an individual to receive a Certification in Production and Inventory Management. 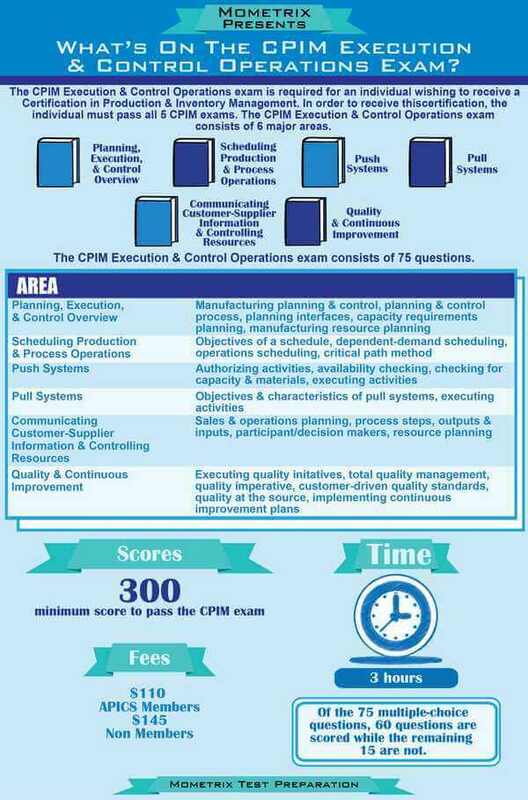 This exam consists of 75 questions, 60 of which are scored and 15 that are not scored, related to time management techniques including prioritizing and sequencing work, plan execution, quality and improvement initiatives including physical control implementation, reporting results, evaluating performance, and providing feedback to employees. To register for the exam, you must contact APICS to get a customer number and register online or by phone with APICS or Promissor to schedule a testing date. 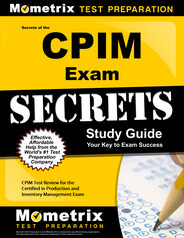 The registration fee for the exam is $110 for APICS members and $145.00 for nonmembers. 3. How does RRP enhance and balance manufacturing operations? RRP allows for better senior management planning of sales and operations. 1. C: The correct answer, that is, the FALSE statement is shown in “c.” Kanban refers to a method of streamlining factory assembly developed initially by the Japanese. Operations management execution refers to the control phase of MPC, during which plans are executed. Aside from kanban, other components of control are procurement, and actual assembly line or work center production. The procurement component involves negotiating the supply, transportation, handling, and storage of materials or parts needed for manufacture. 2. D: Answer “d” applies to early planning by senior management. One of the early planning tasks that must be addressed by the senior management team is a coordinated plan for sales and operations. Senior management must define the products and family groups to be sold and they must plan far into the future when material resources may fluctuate and meeting production schedules and sales targets become more difficult. Senior management must consider economies of scale as productive capacity comes close to its top levels. After coordinating sales and operations, the senior top management team must develop and distribute separate sales and production plans. 3. B: Choice “b” is the best answer, even though there are elements of truth in the other answer choices. RRP, or resource requirement planning, is a way of matching resources to production capabilities with a view toward greater efficiency of utilization. RRP can analyze and anticipate long-term material needs and requirements, balancing materials and capacity in a way that prevents shortages or bottlenecks in manufacturing. It also serves as a testing mechanism that validates the metrics of operational planning and performance. RRP relies heavily on computerization for the the transmission of data through the manufacturing environment. 4. A: The correct answer is “a.” Sales and operations segments meet regularly to identify the needs of the organization and changing circumstances pertaining to the planning cycle. Among the issues that are addressed and discussed at regular planning meetings are inventory levels, seasonal changes in production and sales, discrepancies between forecasts and actual sales, product grouping and differentiation, and monthly/quarterly production scheduling. All of these elements fall within the reach of the “planning cycle” and can be adjusted to more accurately align production targets with product demand. 5. C: The correct answer is shown in option “c.” Choices “a” and “b” represent coordinated areas that are common to forecast and specific data. The MPS is a specific set of figures and data that serve as a basis for MRP. Unlike forecast data, the master production schedule is specific with respect to the configuration of product groups to be manufactured, the quantities to be manufactured, and the target dates for beginning and completion. Standing inventory and “pipeline” inventory are also considered. Less predictable are forecast areas like availability of material and management policies.